Bringing cows off the mountain to wean calves. September and cooler weather brings changes to our ranch (and many ranches in Idaho). 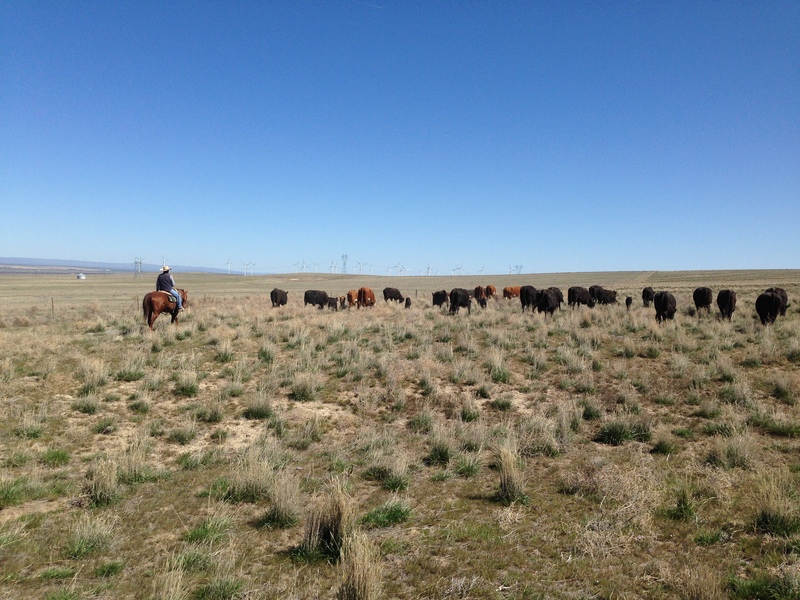 It is the time of the year that we go out to our public Lands grazing range and bring our calves, who were born in February, home to wean from their moms. 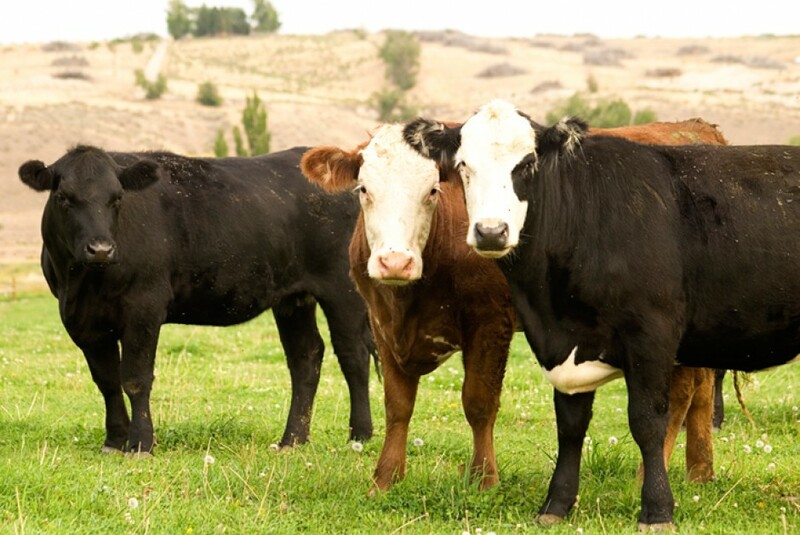 Our cows and calves spend the summer months out on the range grazing. 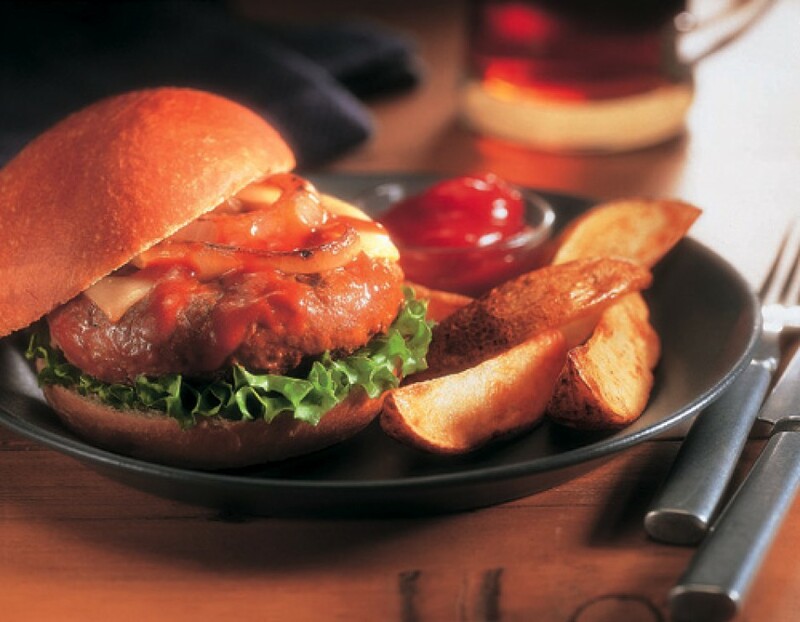 They are healthy and physically fit as they wander the mountains all summer. The mornings start early, saddling horses after a warm cup of coffee. 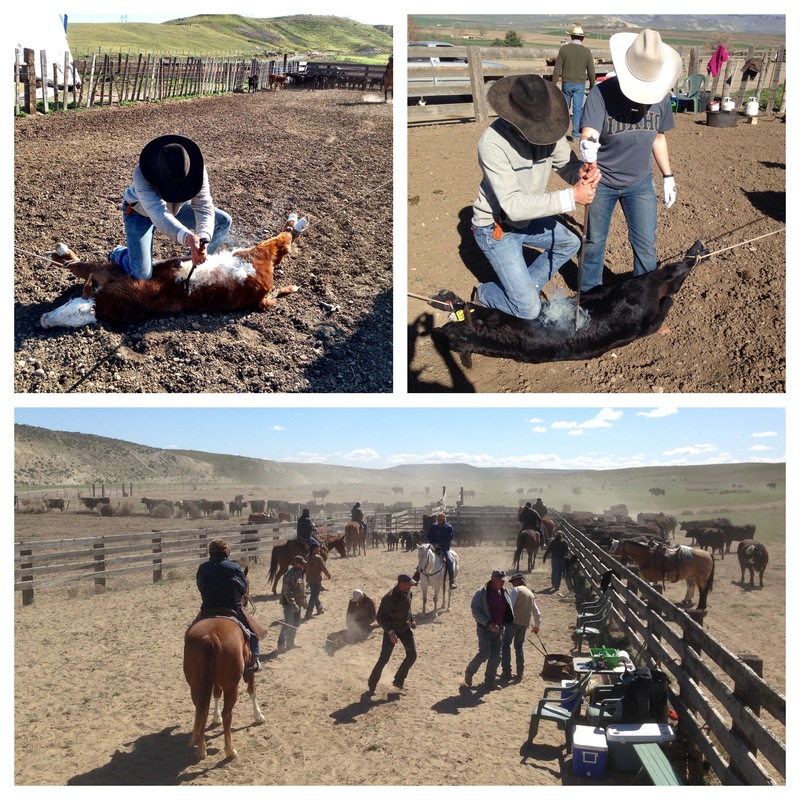 We have friends, hired help and range partners that come to ride for the three days it takes to bring our cows and calves to corrals where they can be sorted. Mornings are chilly, but we were fortunate to have days of sunshine. 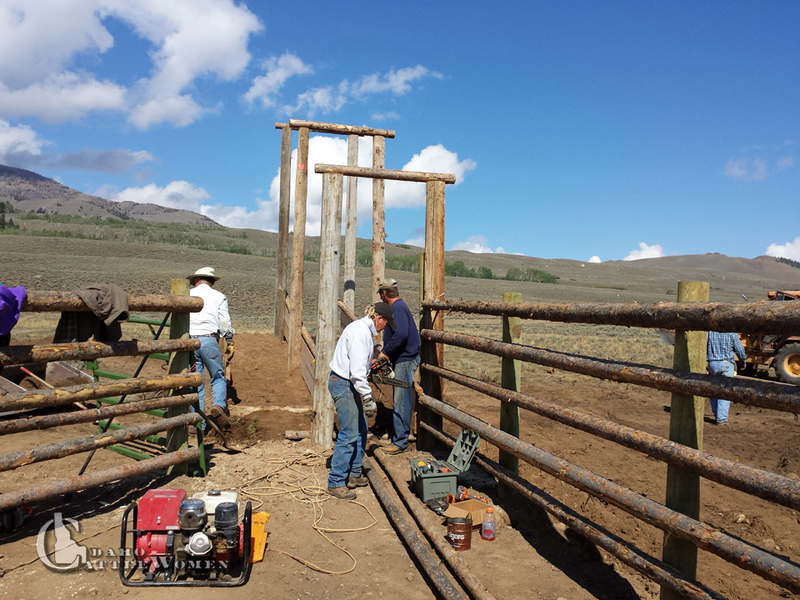 Building new corrals so that handling, sorting and loading cattle is more efficient. 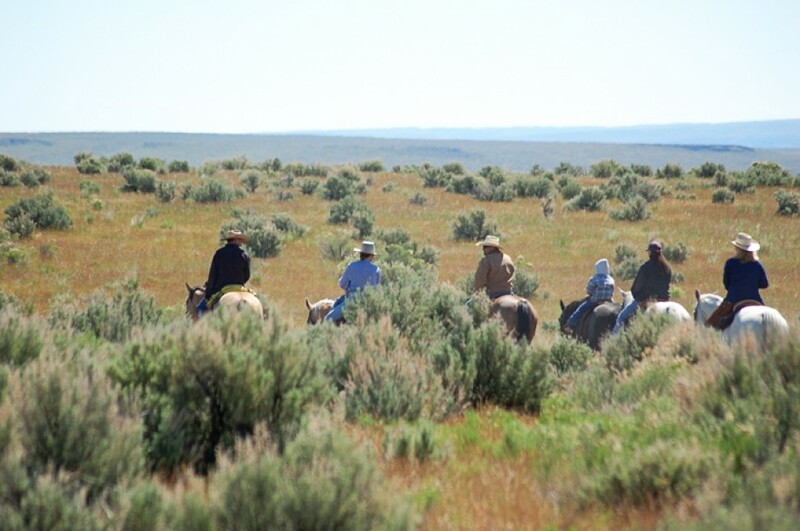 The riders split up and ride to different areas to bring the cows down off the mountain into our temporary corrals. Riders come back to cow camp for lunch then head out again and ride until late in the day. 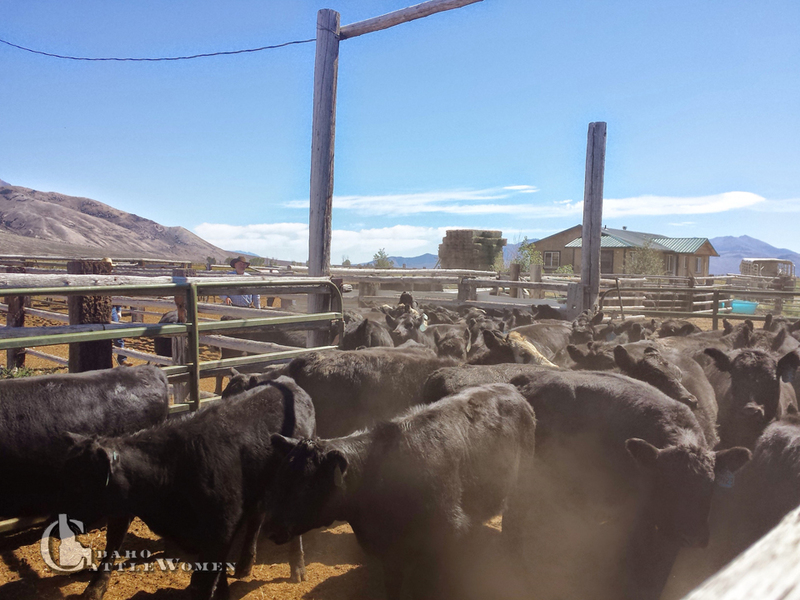 On the final day, we gather all the cows and calves in pasture near cow camp, while trucks arrive and the sorting begins. 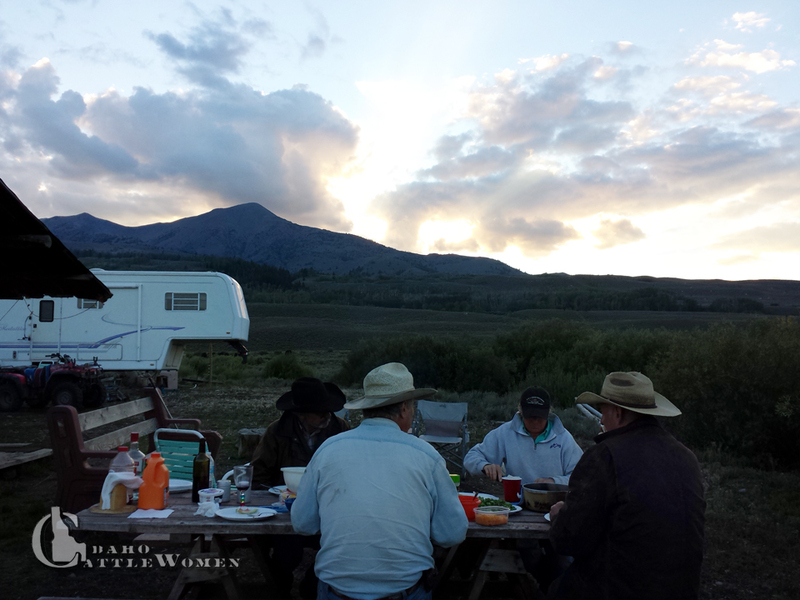 Riders spend all day on horseback rounding up the cow-calf pairs, and share meals at the cow camp. 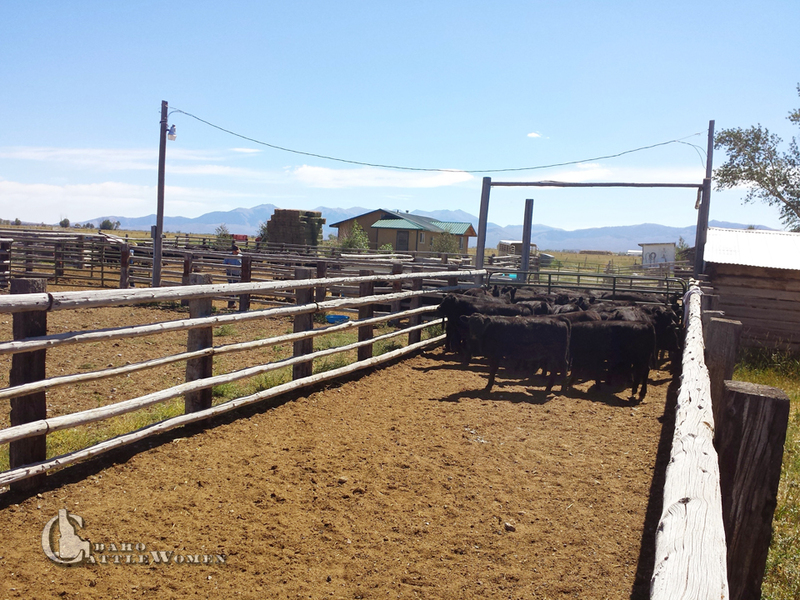 Sorting off calves from cows in the corral. 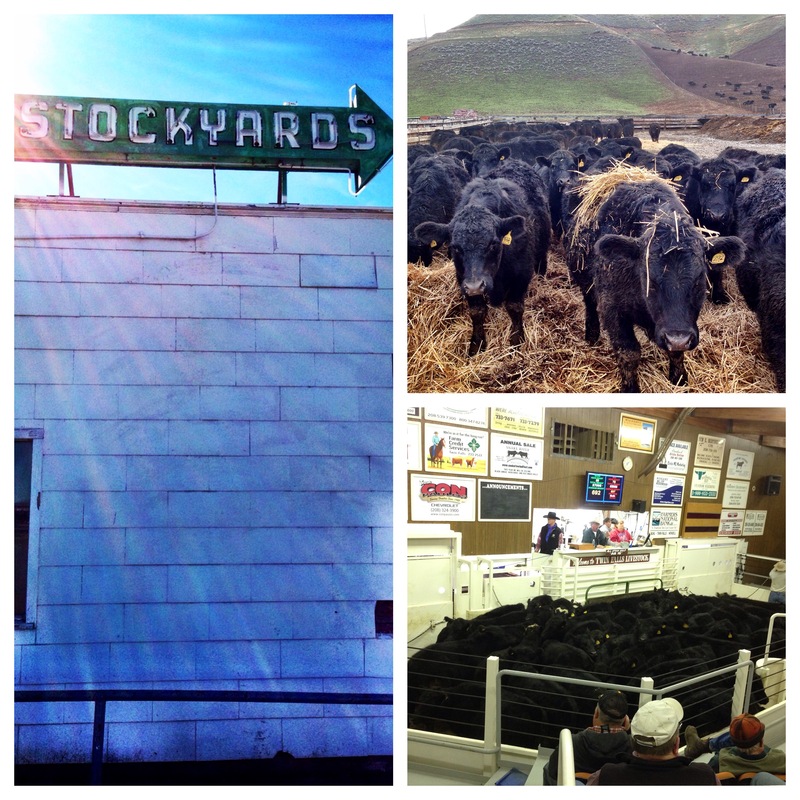 Cows are sent back to the range and calves are sent home to grass or to feedlots. The calves are sorted by steers (male) and heifers (female). 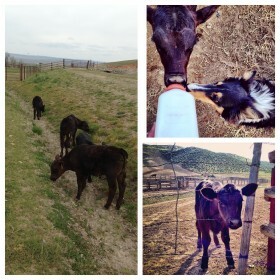 We also have cows/calves from other ranchers, so cattle or sorted out by brand to go to each owner’s ranch. Our cows get a break from nursing as they are already pregnant with next year’s calf. 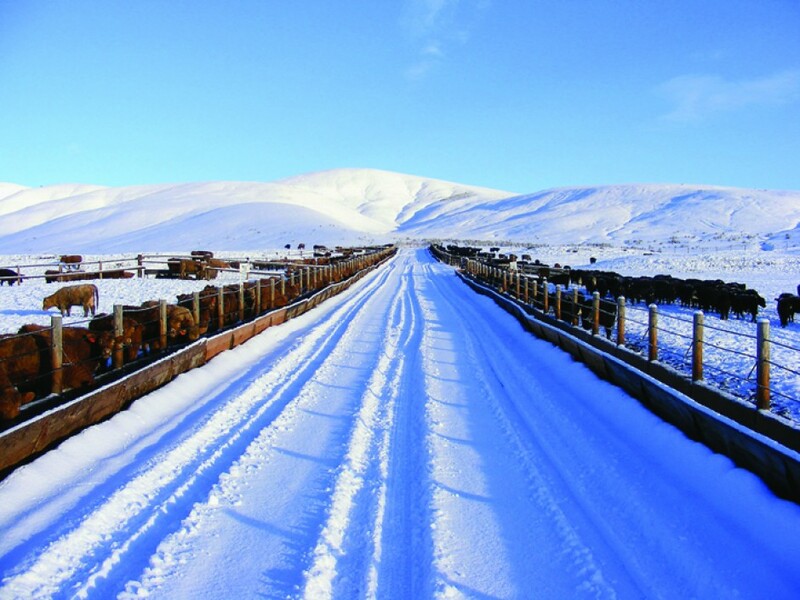 Our cows will come home and usually find their own way back to the ranch as the day’s are shorter and colder. Once they are home, we will bring them in and do pregnancy checks on them to verify that they are pregnant. We source verify and are verified natural producers so our calves get EID (electronic identification tags. 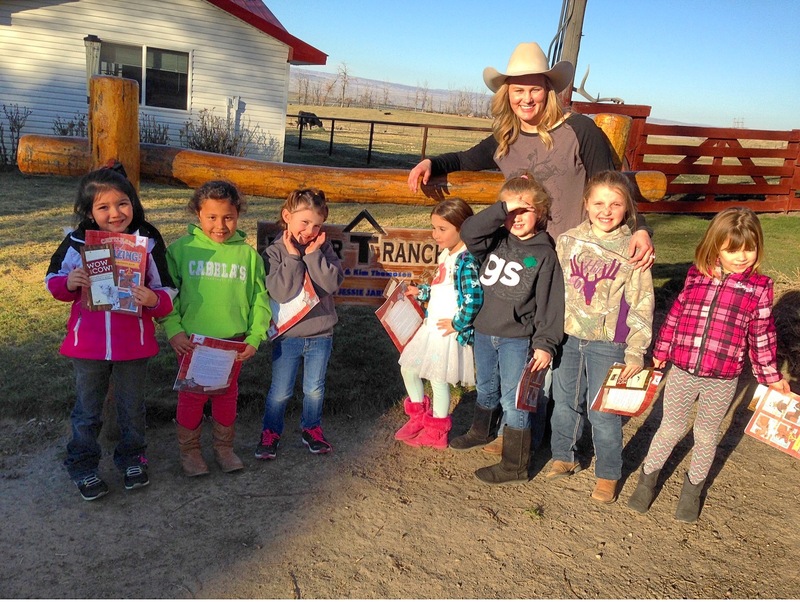 They are also vaccinated on arrival to the ranch. 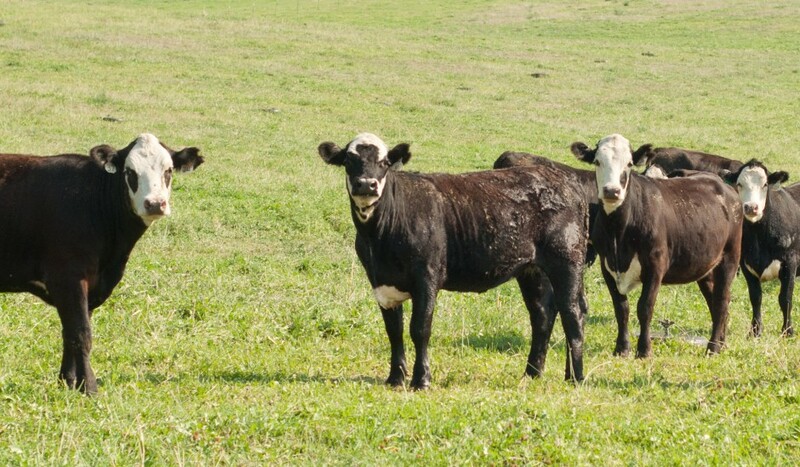 They are turned out to pasture before they are sold in the fall. 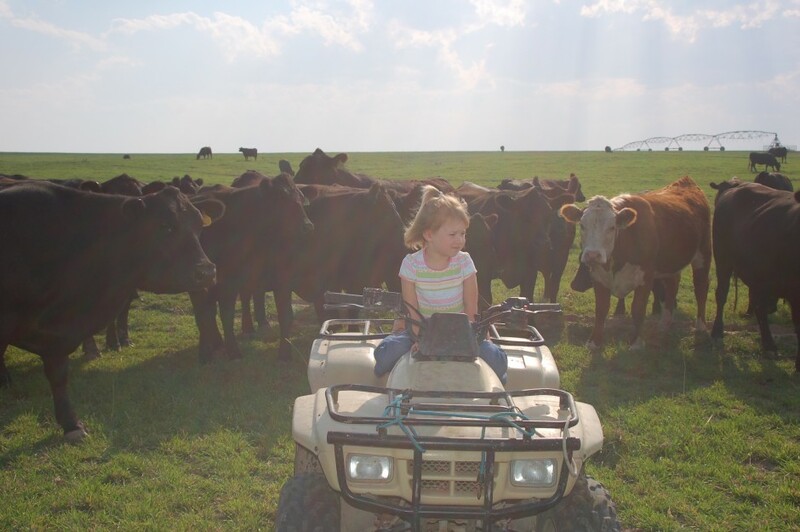 We were blessed this year with late summer rain and lots of grass for the cows to eat on the range. 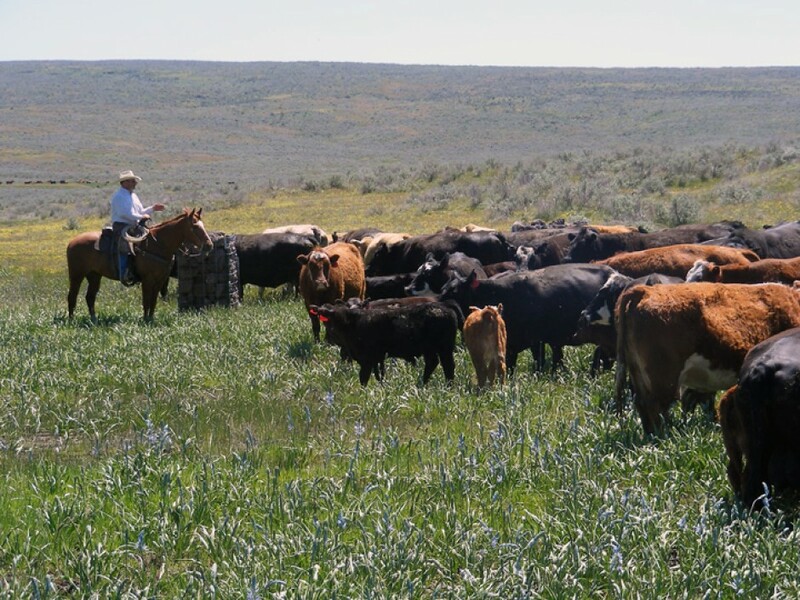 While the cows are at range, there is continued activity at the ranch during summer months. 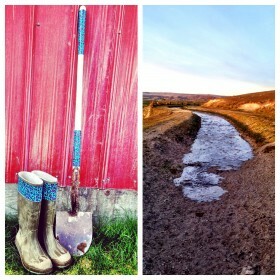 We grow our own feed, alfalfa and oats for the winter months. This year the late summer rains blessed us with lots of grass on the range for the cows to eat, but delayed our cuttiing and baling of hay. It is important to get hay up so that we have regrowth in the fall when the cows and calves do come home. 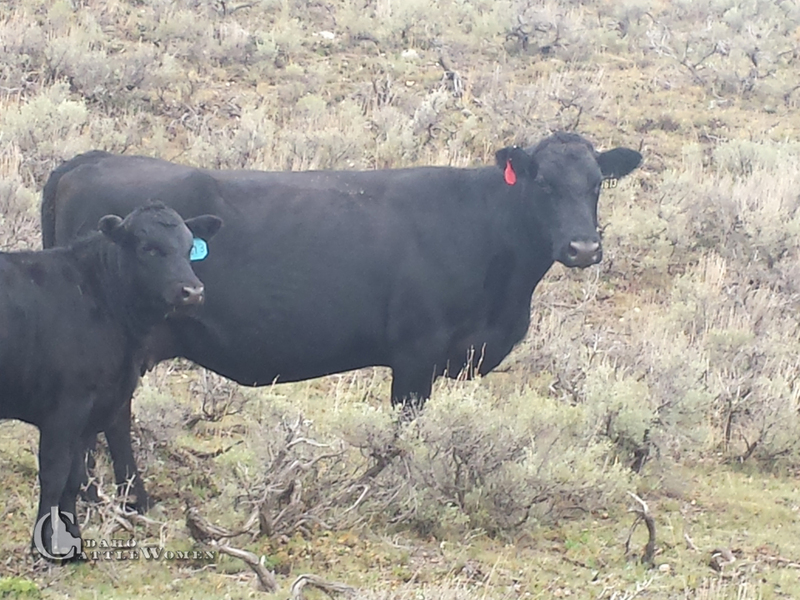 Weaning time is always excited for Idaho ranchers as we get to see how the calves have grown and how the cows are doing as mommas. 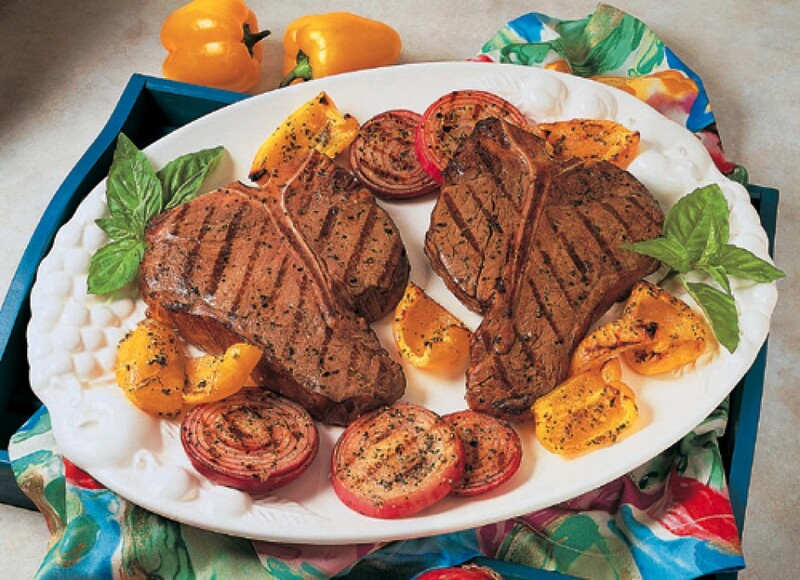 We’re always looking at what we can do to change and improve our cattle herds and the beef we produce for our tables and yours. 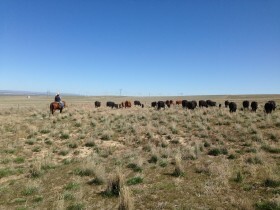 Lyndella and her husband, Stephen, own and operate Challis Creek Cattle. 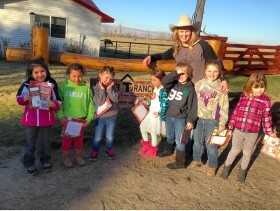 They are first generations ranchers, who began their dream of owning cattle more than 20 years ago after working in other industries. They run their cow-calf operation on both public and private lands, and are committed to improving the land and the animals in their care.